Hint: Russian ice hockey winger reaches milestone. 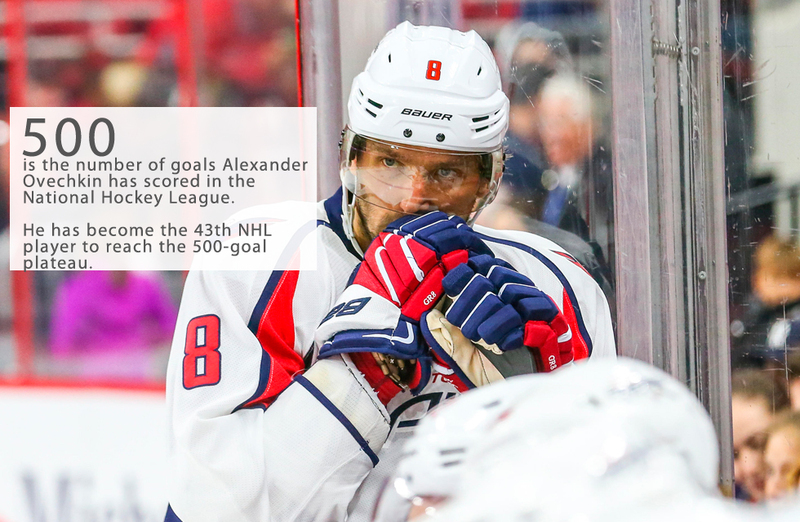 500 goals is a great achievement for hockey players and should place Ovechkin in the historical upper tier of NHL talent. The Washington Capitals honored captain Ovechkin with a tribute before their game on Thursday, January 14. The festivities included a video featuring several hockey legends, along with a golden stick presentation for Ovechkin with his family at his side. The video features messages from Brett Hull, Peter Bondra, Sergei Fedorov, Pavel Bure, Pierre Turgeon, Luc Robitaille, Mike Gartner, Lanny McDonald, Jarome Iginla, Steve Yzerman, Phil Esposito, Teemu Selanne and Wayne Gretzky. All players have scored 500 goals or more in their careers.